Bing Boy is a newbie on the quick service food scene. It is the Asian version of a French Creperie. Omelette is cooked to order, filled with yummy things like BBQ duck, cucumber, sweet & sour carrot, salad and hoisin sauce, then wrapped and it's good to go. I particularly like the clean graphics and easy to read menu format. Look for it on the lower / station level at Melbourne Central. POD peeps from around the globe have sent the occasional email over the past year enquiring as to why my blogging has slowed down? Those who know me, already know I have been limping for 18 months and am now 6 months post surgery (a total foot reconstruction if you don't mind). The reality is if you can't walk you don't look, and if you don't look you don't find. The surgeon says another 6 months until I can really start snooping seriously again. 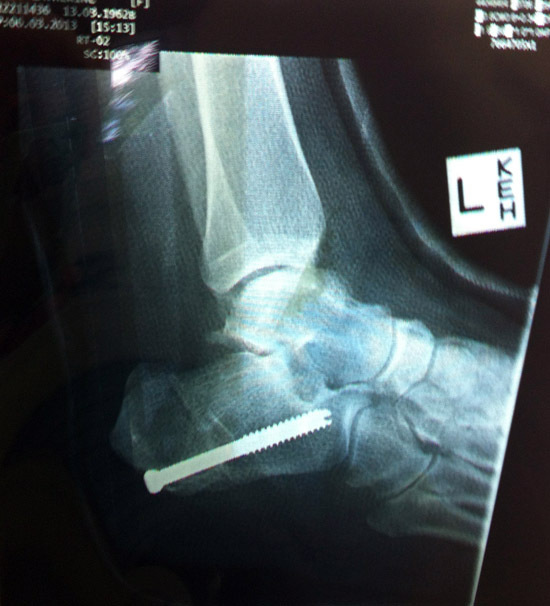 So there you have it (and yes, that is the X-ray of my foot with the 'bolt' that is now holding it together - looks like I have had a nasty accident on a building site!). In the meantime, if you're a designer and have done something fabulous then feel free to flick me a photo file. Loving Kat Chadwicks line work. It gives this column some cute street cred. Spotted at QV, Swanston Street Melbourne. 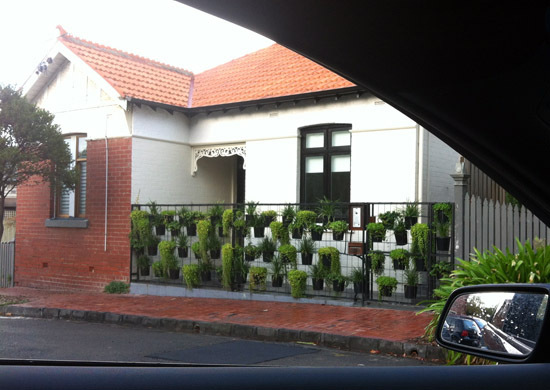 Vertical gardens have sprouted all over retail land in recent years.This front fence caught my eye recently. It's the first time I've seen the idea in a domestic format. Spied through the car window in Armadale, Melbourne. 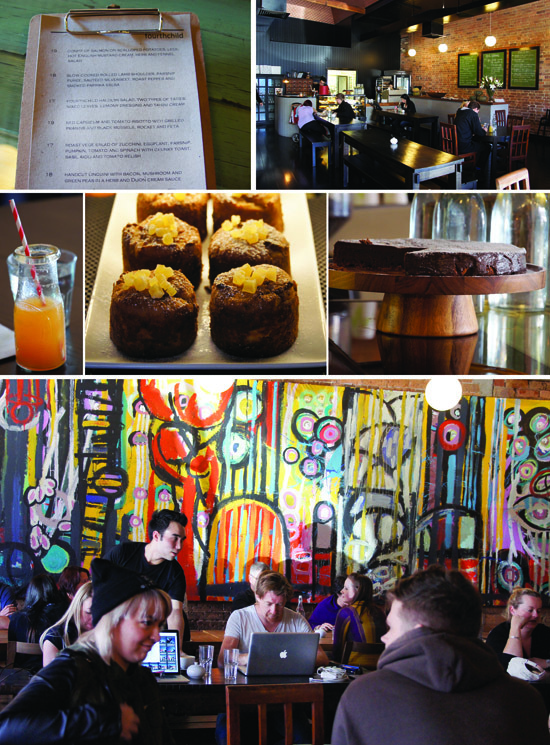 I met Nahji (a.k.a Miss Chu) a few years ago at her first tuckshop off William Street in Sydney. Since then she has evolved the concept considerably and now has outlets in both Sydney and Melbourne (and has sold Miss Chu licenses into New York, London, Paris and the rest of the country according to the fabulously flamboyant floor boy in the South Yarra store). It was good when I bit into the first rice paper roll and remains so. Retail evolution and store growth is not an easy road so I am more than delighted to report the brand and offer is better than ever (particularly love the graphic and store design direction too ... it's honest and on trend). 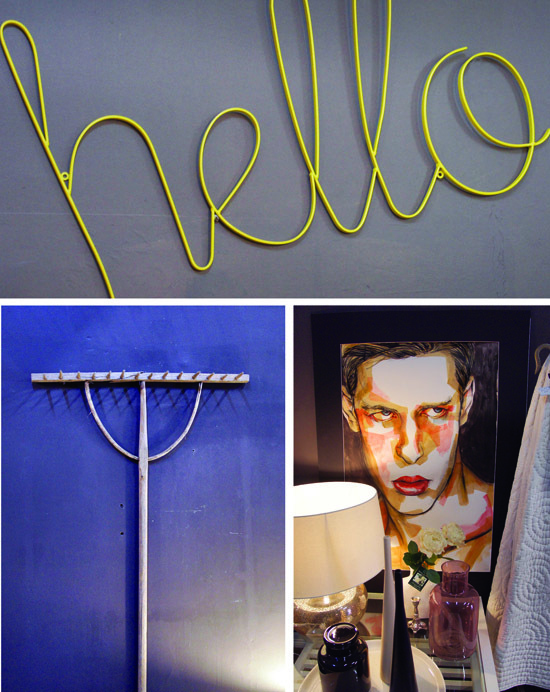 Kano Hollamby is the designer for this South Yarra store (happy snaps above). Bring on Brisbane and the rest of the country I say! POD peeps have been up ladders late at night again. 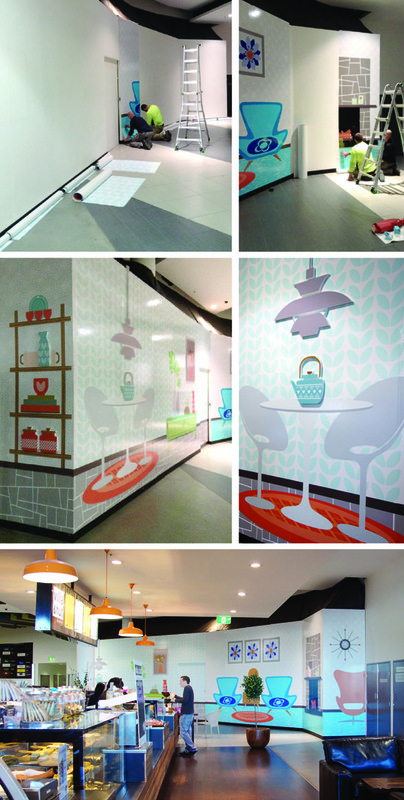 This month we transformed blank construction walls into colourful compositions for DFO South Wharf. Adding some interest to the long lengths of vinyl were 3D pizzas, donuts and sushi in the food court. Upstairs the Homemaker level was given a mid-century make over and decorated with 3D home wares. Big thanks to all the install lads and our lovely client Jess Harney. POD is v. pleased with the total transformation (if we do say so ourselves! ).